University of Scouting is an annual one-day supplemental training event for volunteer leaders, youth (Venturing/Sea Scouts), and parents at all levels in every Scouting program: Cub Scouts, Scouts BSA , Venturing/Sea Scouts, District, or Council operations. This event is May 4th, 2019.
Who should attend University of Scouting? • Cub Scouting: Boy, Girl and Family Pack leaders can pick up tips, hints, and fun suggestions which will help their dens, the pack, and most importantly their own Scouts. Explore new cooking ideas, learn to tie knots, or even have some magical experiences during your meetings. • Scouts BSA: Boy and Girl Troop leaders can learn about any of BSA's high-adventure bases or receive some pointers on "Meaningful Scoutmaster Conferences" or a learn more from a variety of topics. Concurrent with the UOS will be an all day Commissioner Conference for all Commissioners and those that want to know more about Commissioner Service. To signup for the Commissioner Conference, look for Commissioner Conference in the UOS registration. We will be discussing the new Commissioner Tools being released in early April, Roundtable Support, A special Commissioner challenge being promoted across Area 2 Commissioners and detail of our Multi Council College of Commissioner Science in the Fall of 2019. For attendees, you will receive 6 course credits for the University of Scouting. Here is an important Announcement on Youth Protection Training (YPT) from Scouting U. This update will include new policies and procedures implemented since the course was first released in February, 2018. However our Youth Protection and Health and Safety policies, guidelines and procedures are continually being updated and revised. 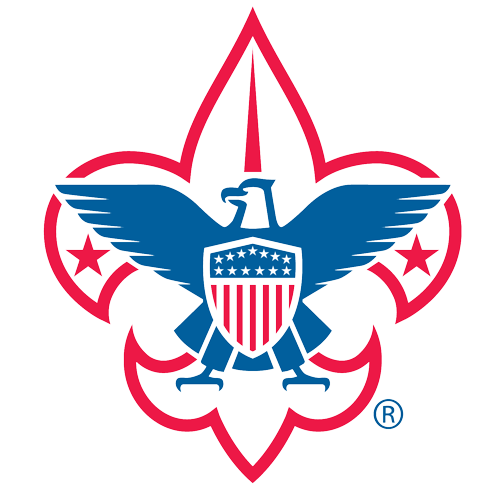 The on-line version of the GTSS is the single most up to date source of our commitment to Safe Scouting. Cost is $30. Please see attached form below for registration. All are invited and if you are able, please help pay for our youth attending and being recognized. University of Scouting is an annual one-day supplemental training event for volunteer leaders, youth (Venturing/Sea Scouts), and parents at all levels in every Scouting program: Cub Scouts, Scouts BSA , Venturing/Sea Scouts, District, or Council operations. This event has been moved to May 4th, 2019. • Commissioner Science: Commissioners have a slate of offerings to help earn Basic Training and knowledge tools of the trade. • District/Council Studies: Leaders and parents can take other general studies topics which span a variety of Scouting operations. Cost and location to be announced soon. Wednesday evening information regarding possible business action by the National Council reached the media. It is important to understand that this action relates only to the National Council and not to the East Texas Area Council, our units and our ongoing mission to serve our 17 counties. While the possible action taken by the National Council is certainly of interest and matters greatly to Scouting at-large, in the meantime we remain focused on rechartering our units, our two Distinguished Citizens Award luncheons and planning for our remaining winter programs. At this time, we are not coordinating with local media as the matters pertain to the national office. While the merit badge schedule and overall camp schedules have been circulating for a while now, the final composition of the Winter Camp Leaders Guide is ready for wide release. It can be found attached to this post, in the "Forms" section and uploaded to Facebook. You can register your troop at https://etex.camp-master.com and clicking on the Winter Camp event heading.